This target's interlocking octagon design aids in precision training, by giving the shooter immediate feedback on near misses. The target can be shot with .22 LR up to larger rifle calibers and will last for hundreds of shots. 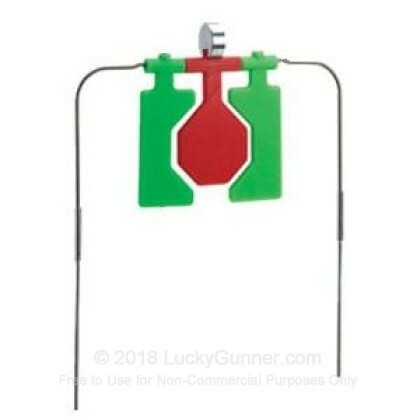 This system's lightweight design also makes the target much easier to carry back and forth to the range compared to comparable metal spinner targets.